The following letter was written by a young Communist to his girlfriend breaking off his relationship with her because of his commitment to the Communist cause. The letter was given to the girl’s father who had the letter published. “We Communists have a high casualty rate. We are the ones who get shot and hung and ridiculed and fired from our jobs and in every other way made as uncomfortable as possible. A certain percentage of us get killed or imprisoned. We live in virtual poverty. We turn back to the party every penny we make above what is absolutely necessary to keep us alive. “We Communists do not have the time or the money for many movies or concerts or T-bone steaks or decent homes or new cars. We’ve been described as fanatics. We are fanatics. 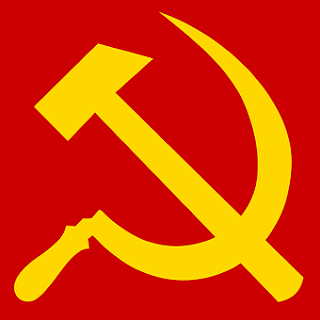 Our lives are dominated by one great, overshadowing factor: the struggle for world Communism. We have a philosophy of life which no amount of money can buy. We have a cause to fight for, a definite purpose in life. We subordinate our petty personal selves into a great movement of humanity; and if our personal lives seem hard or our egos appear to suffer through subordination to the party, then we are adequately compensated by the thought that each of us, in his small way, is contributing to something new and true and better for mankind. ✞ Be committed to the Lord.